Are you someone who files their tax return in plenty of time, feeling relieved to have crossed that (much-dreaded) task off your to-do list, or are you one of the many who leave it to the last few days before the 31 January deadline? Increasingly, people earn income from several sources and with the rise of the ‘side hustle’ and gig economy, it’s important that you keep track of all earnings from all sources, together with related business expenses and remember to claim trading and/or property allowances if appropriate. In addition to any employment income (which is taxed at source under PAYE), you might also have made a capital gain during the year, earned property income, received dividends and/or interest or perhaps been paid a pension. 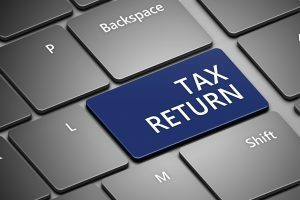 Incomplete tax returns will get you onto HMRC’s radar and raise the prospects of a tax enquiry, which can be unpleasant and costly. It is your duty to declare your earnings in full and claim only tax-allowable expenses against the relevant income. This is your Unique Tax Reference number to be used when submitting your return. Ensure you have a UTR as you can’t file a return without one. If you get this wrong, it creates all kinds of unnecessary havoc. Check it’s right. Then check again before hitting ‘submit’. Employment income is received net of tax but self-employment and most other sources of income are subject to tax which the taxpayer is required to calculate and pay. The timing of the payment depends on how much is owed. Make sure you have enough put away to meet any outstanding tax obligations or penalties could arise on late payments. There are so many reasons to file before the deadline. Less stress, less chance of making mistakes, more time to prepare for tax payments, more attention from professionals in quieter periods etc. etc. Hefty fines can be applied to tax returns submitted late and repeat offenders are more likely to open themselves up for scrutiny such as a tax enquiry. Our tax professionals can help and advise you on your obligations. Please contact [email protected] or call 01527 558539. More info on our tax services can be found here.